New York Comic Con is starting up and with it came the initial reveals. Hasbro was showing off plenty of their upcoming Power of the Primes toys to my happiness. I finally got a good view of more of the upcoming Primemasters and couldn't be happier. I want these so bad that it's bordering scary. I'll cut you man. Looks at the new Terrorcons and Dinobots were also great. The new black repaint of the POTP Rodimus Prime was unexpected and I love it. Taking cues from prior black versions of Rodimus and even the Shattered Glass versions beard, the toy looks great and even uses Unicron in the naming making me think about those old Marvel UK TF stories with Rodimus possessed by Unicron. Was really disappointing to miss out on getting a chance to buy the NYCC Grotesque (in the style of the Hascon Arcee) as it was put on Hasbro Toy Shop before I was aware. Fortunately, news of it being available at Toys R Us soon took away a little of the sting. Just hoping I get a fair shot at that one. There's a ton of great pictures and reports at TFW2005. There was plenty of Power Rangers reveals to my delight. The Mini-Pla kits of various Zords really have my attention, as I'd love to get all the kits from MMPR (hoping they're fairly affordable). 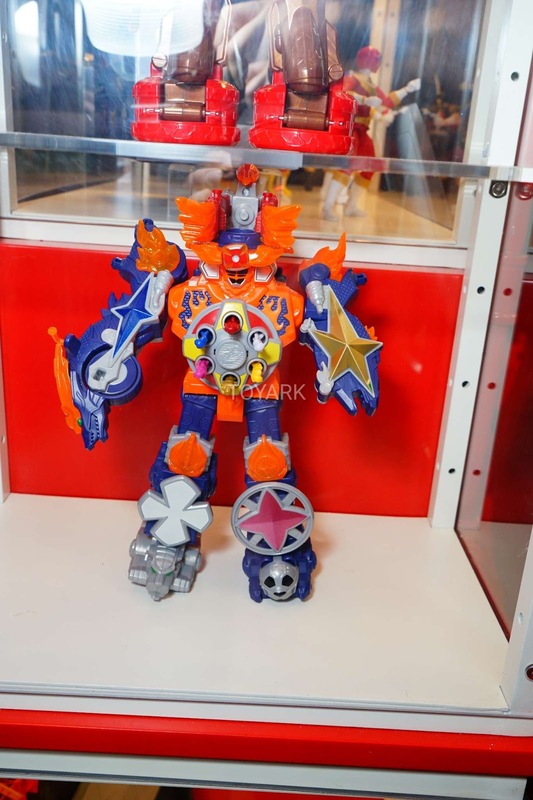 I think my biggest surprise though was seeing that the upcoming Super Ninja Steel is delving more into Ninninger footage and we're getting a US version of this guy. Really happy for this as it's a great design and would like to just stroll into Target and pick it up. 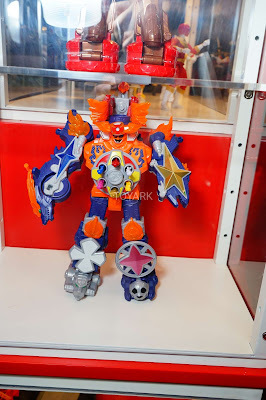 There's a ton of great pictures and reports at Tokunation. I've seen a few glimpses of the upcoming Pacific Rim Uprising toys, but am really waiting until tomorrow to go more into it when the trailer goes up. So far they have a teaser of the trailer up that's really wetting appetites over here at Zone Base HQ. Which means me. I'm really excited.